Today our screencap comes to us courtesy of mariana. Thanks very much, mariana! I’ve been fortunate enough to see this painting “live” and in person at the Louvre. 😀 I got to the museum early and used my very poor French speaking skills to ask where it was so I could beat the crowds. I’m not easily embarrassed, LOL! It was quite a sight and I stared for a long time. Anyway, in my graphic I changed the blend mode of Guy to Hard Light and made sure his face was over skin tones and not the landscape background. I also tilted his head a bit and added a very slight drop shadow. Finally I added the text “Sir Guy” in the Leonardo font and “Master-at-Arms” in NewStyleTitling. Thanks again for all your support! Hope you have a great weekend. P.S. 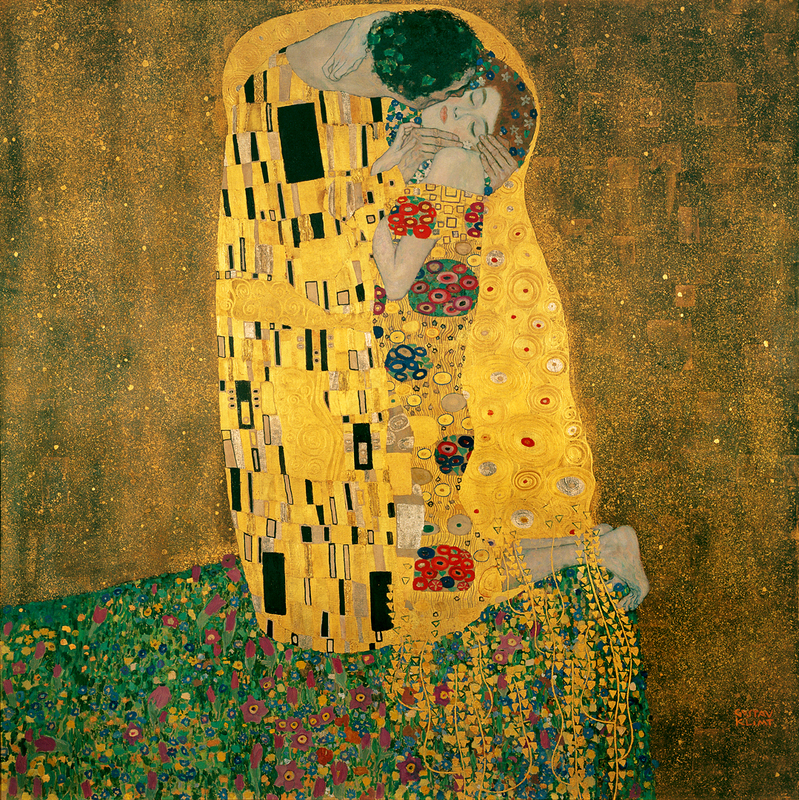 What is one of your favorite paintings? This entry was posted in Collaborative Project, Graphics, richard armitage and tagged actor, graphic a day in may, graphics, guy of gisborne, leonardo da vinci, miles davis, mona lisa, pandora, richard armitage, richardarmitagenet, richardarmitagenet.com, richardarmitagenetdotcom, robin hood. Bookmark the permalink. I loved the Sir Guy paiting!!! Congratulations… it’s really beautiful!! My favourite painter is Van Gogh and I love everything he did, specially the sunflowers series. And guess what…. I’m travelling today to Amsterdam and I obviously intend to visit the VG Museum and later I’ll tell you which one was may favourite!!! By the way, I’m sad because I’m going to miss the may project, but so far, everything is really wonderful!!! See you in June!! The detail is very good in the Sir Guy portrait. I like what you did with the picture. My favorite painter is also Van Gough. And I too like the sunflower series. I doubt I’ll ever get the chance to actually see the paintings though. lovely graphic – another wonderful collaboration! Brilliant, bccmee! You never stop surprising me! Lovely, original picture of Sir Guy, Mariana! B, very clever to use the Mona Lisa background. Great graphic. It seems that Sir Guy smiles mysteriously as the Mona Lisa.LOL! I just want to stare and stare at that beautiful face!! Well done bccmee …. another masterpiece!! Love the siggie! RH 3 Sir Guy always gets my blood rushing. Ha! And when RA as Sir Guy does a wry smile/smirk, I’m in heaven. P.S. I love your “process” explanations, too–most instructive! I love this!! I’m enjoying all of the Graphic a day posts. Beautiful effect, Bccmee. I love Botticelli’s work. I have imagined Guy taking the place of Mars in the Venus & Mars painting. I have also imagined RA substituting for Adam in Michelangelo’s fresco on the ceiling of the Sistine chapel. I have imagined a lot of art as I wished it were, not that it could ever be. Another wonderful transformation! Favorite artist is Monet and from those paintings, the waterlilies are among my favorites. Thanks for your wonderful creativity! 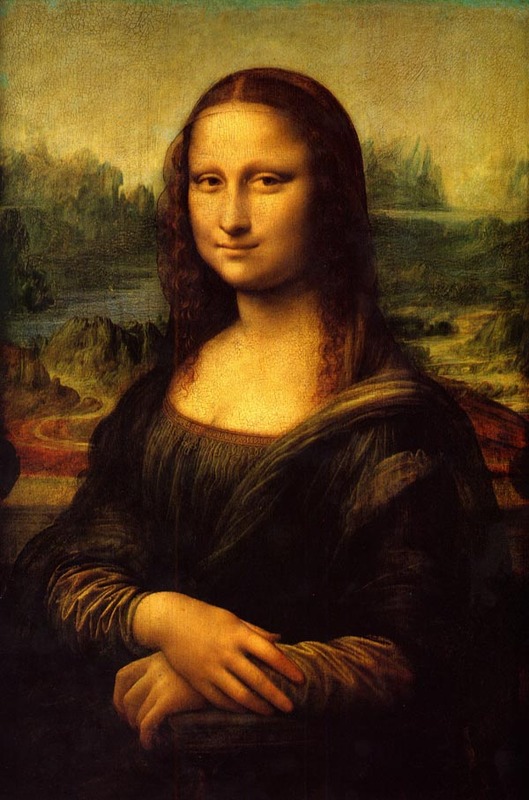 I also had the chance to see the “Mona Lisa” painting at the Louvre years ago. 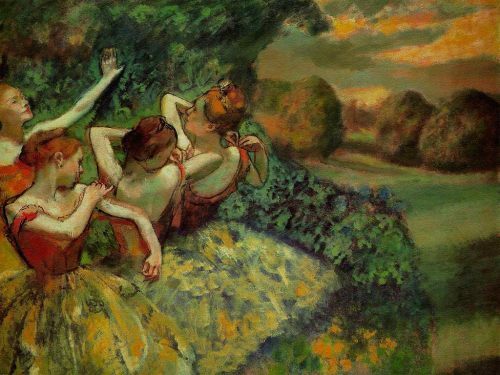 I love Monet painting and also Degas and Waterhouse. Is there no end to your creativity, Bcc? When I clicked on this post the first thing I saw was the siggie and I said to myself wow, this looks like a Renaissance painting, and then scrolled down and sure enough it was! Fantastic! Great choice of screencap, Mariana! Thank you both! This Graphic a Day project is FUN!!! Thanks to mariana for her choice of Guy screencap. You did a lovely job of making it look like a real painting, B! Like da Vinci’s Vitruvian Man, Guy seems to be a fusion of art and natural philosophy (e.g the science of the leather pants). Team Day 12, nice one! It’s Mothers’ Day here … so I’m waiting for Guy to arrive with my breakfast on a tray. I think he might be my favourite performance artist. Lovely graphic, Bccmee! Thanks so much for explaining how you get the effects! Lovely work! You very creative as always! I love your siggie, Bccmee! It’s perfect! Nice mix of Guy and Da Vinci! Guy is a work of art. Beautiful idea and wonderfully done Bccmee, and gorgeous Guy choice Mariana. This is a very original idea.I agree with Ania.Guy is smiling a little such as Monalisa.Great job,Bcc! Great pic Mariana & I love what you have done with it Bccmee – beautiful :-). AWESOME!!!! RA is certainly a Masterwork of Art! I love this! He definitely has a Mona Lisa-esque smile in this screencap! Having never made a graphic before, it’s fascinating how you create them. All the different elements come together to make these beautiful works of art! Thanks, bccmee, for telling us how you make them! There’s more work involved than I ever imagined. @Everyone: Thanks so much for your comments and for sharing your favorite works of art. We are a diverse crowd. 😀 If you’ve left on a holiday, we’ll be here when you get back. I too was surprised how small the Mona Lisa was. A painting by Salvadore Dali, The Persistence of Memory, hangs in the Museum of Modern Art and I was amazed at its petite stature. 😉 That’s the picture with the melting or drooping clocks. Late to the party for the last few days….work keeping me busy! Lovely choice of pic mariana and I love what you’ve done for the graphic bccmee. Hello bccmee, I am late as well. Your RA – Mona Lisa combination is absolutely stunning. I love the skin colour you manage to get by combining the two image layers. Wonderfully creative artwork. Thank you, bccmee and mariana! I’ve missed since today “my graphic”. Thank you, thank you Bccmee, it’s superb! I love so much what you did! You are so creative! 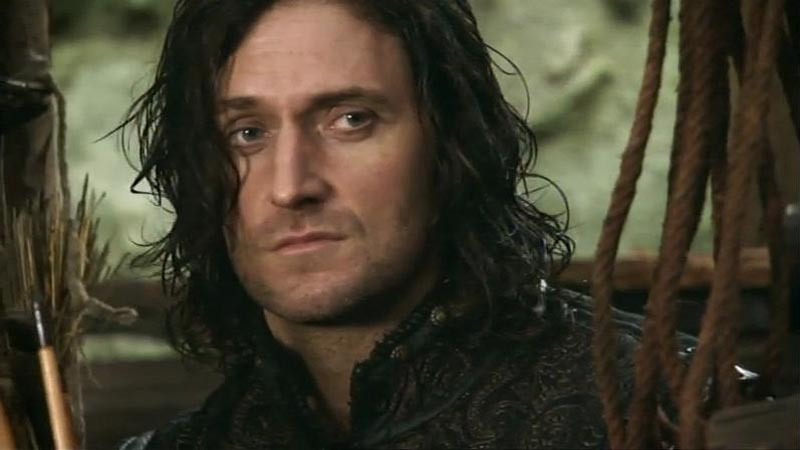 And an other concidence: the image of Guy of Gisborne/Richard Armitage remember me sometimes the Renaissance portraits of Tiziano.